What is X-Stop Interspinous Process Decompression? The X-stop system is an FDA approved system that is used to treat symptoms that arise from stenosis of the lumbar spine. Lumbar stenosis is a condition where there is narrowing of the spinal canal, resulting in the compression of spinal cord and nerves that arises from it. Spinal stenosis is often due to age-related degenerative changes, and is associated with thickening of the ligaments. The X-Stop system is made of a titanium alloy and is composed of 2 main parts - a spacer and a wing assembly. When the X-stop is placed in between the spinous processes of the lumbar vertebra affected by stenosis, it prevents further extensions of these processes, thus preventing further growth of the spinal bones and reducing the degree of narrowing. Interspinous process decompression with X-stop is indicated in managing symptoms that result from spinal stenosis. These symptoms include pain when walking (called claudication pain) which can impair normal mobility and back pain. Once consent is obtained, the patient is given a general anaesthetic agent (or local anaesthetic sometimes) and placed on the operating table on their front or side. The skin is cleaned with antiseptic solution and is covered in sterile drapes. A small incision is made in the lower back and through this opening the spine is accessed. Under the guidance of fluoroscopy (x-ray), a space is created using a sizing distractor and the X-stop device is inserted in between the spinous processes. The total time for the surgery can take up to 90 minutes to perform. Once the device is in place, the instruments are removed and the skin is sutured and covered in a sterile bandage. The patient is observed for a day or two and discharged home. It is not uncommon for patients to experience mild pain after surgery. Patients are requested to take rest during the recovery period, and avoid any strenuous activity, bending forwards or backwards and heavy lifting. Slow walking is allowed as long as the patient has the all clear from the surgeon. Rehabilitation may be needed through physical therapy. The X-Stop system can help realign the spine and improve overall function. 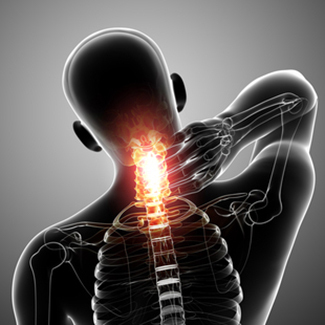 It is particularly beneficial in managing the symptoms of spinal stenosis. Since the X-stop is made of titanium alloy, it can produce a distortion of the images in case an MRI scan of the spine is performed. Other than that, other risks are rare and can include pain at the site of surgery (short lived) and mild bleeding and bruising.